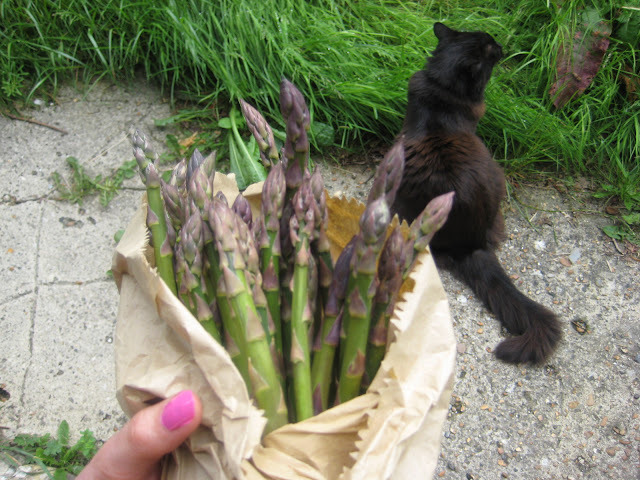 My friend Shara has grown some asparagus! - so clever. I love it when she comes to visit as she's always armed with something delicious she's grown............although in this case only about 7 of the asparagus spears in the bunch shown below are hers (she started out small this year) the rest are from the farm shop. What is it with green fingered people though - they think it's so easy & everyone can do it - but as you can see from the feral garden shot above, I am rubbish with all things gardening. My grandma has green fingers & I used to have a massive cheese plant that would go and stay with her periodically - she'd bring it back to life, then it would come home & start to wither & die again, so then she'd have it back - until eventually I admitted defeat & she kept it. My sister (also rubbish with plants) mentioned the other day she had a plant she always forgets about then occasionally remembers to water it & then goes " here you go plant" & basically drowns it - somehow it is surviving this abusive behaviour so maybe I need to find out what it is & get one. 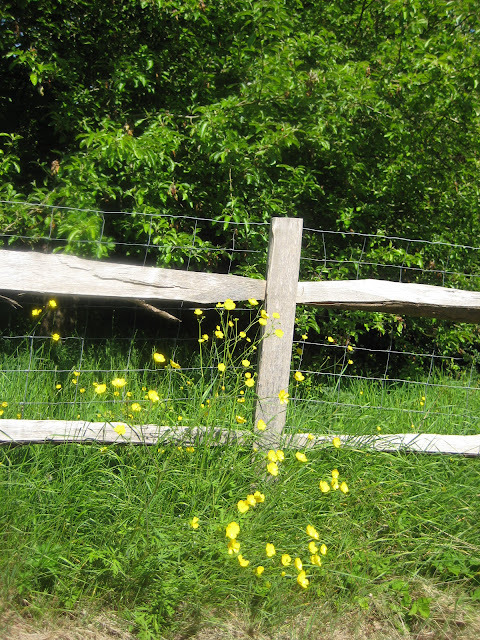 anyway, have wandered totally off track ( Oh no! I'm turning into my mum!). Back to today's recipe. 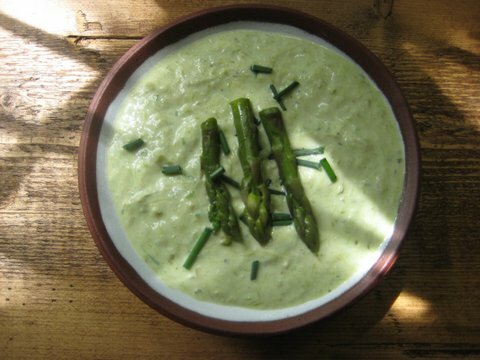 Asparagus dip. Simple & delicious - summer is not the time to be spending hours chained to the kitchen, so quick & easy is the order of the day. (although if you were in the UK yesterday you could be forgiven for thinking you've slept through the summer & woken up in November - totally unacceptable weather for June!). 150g cream cheese (I used Philadelphia) - you can also use soft goats or sheep's cheese. handful of chopped, fresh chives. For the Garlic I usually bake a whole garlic bulb (drizzle with a little olive oil & bake in a moderate oven until its starting to brown and has gone completely soft). 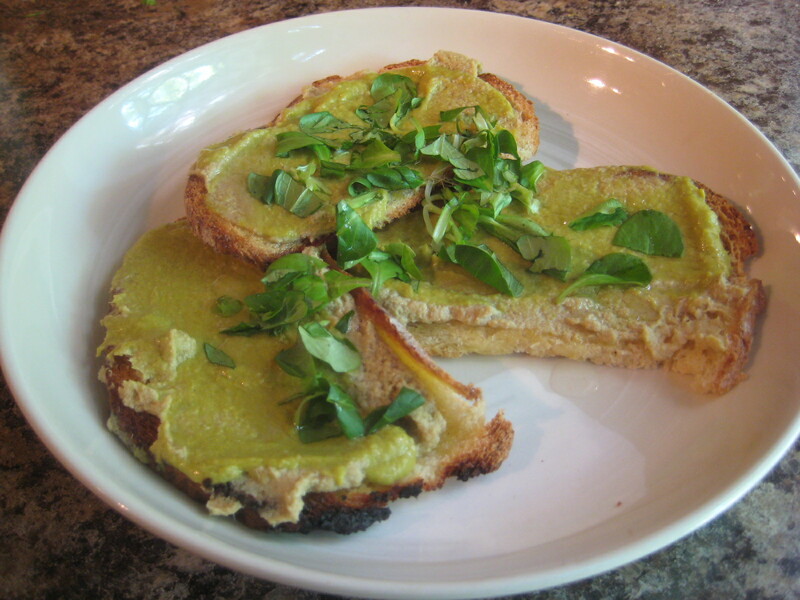 I find it easier to digest baked garlic, but using a raw clove is fine too as is using garlic puree. If you're using raw garlic, I would advise putting it through a garlic press, or dicing as finely as you can before putting in with the other ingredients. 2. leave the asparagus to cool. When cool - place in the blender with the garlic, cream cheese, chives and blitz until you have a nice smooth dip. 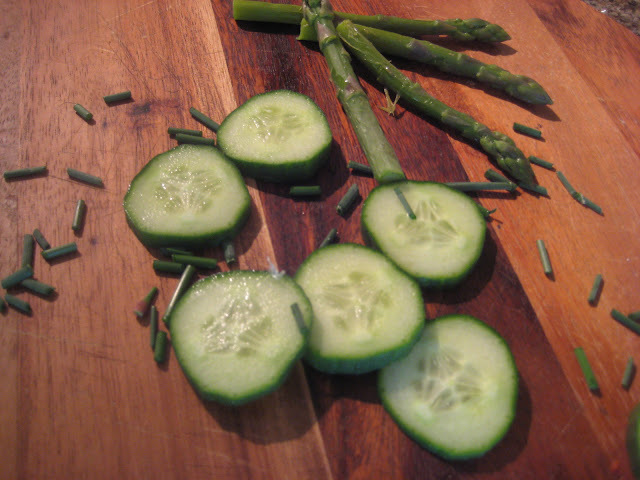 3. mix in the diced cucumber & season to taste.